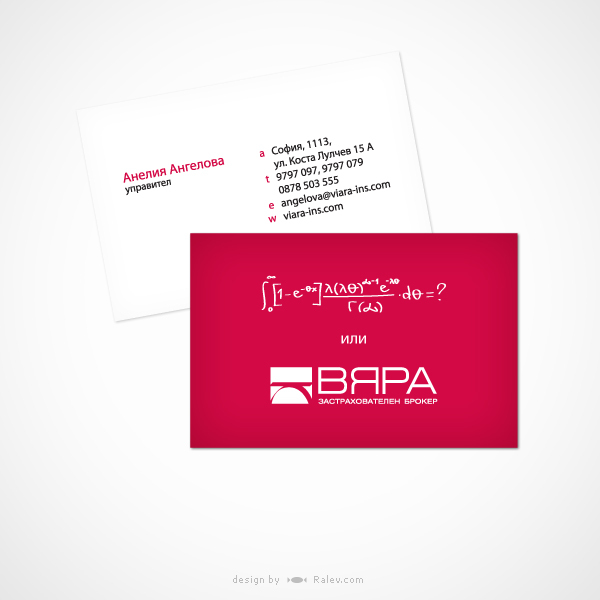 One day Margarit was very pissed off – he had some trouble with the Bulgarian bureaucracy and this is how the idea for the business card design came to life. The formula in this design aims to illustrate a simple idea. You don’t need to complicate your already complicated day by doing things that are not your job. You can just hire a professional to do it and live happily. After all, that’s why people have different jobs. Viara Ins is an insurance broker and they really liked our concept. The fact is it expresses the essence of their business and this is to make people’s lives easier by doing their job.